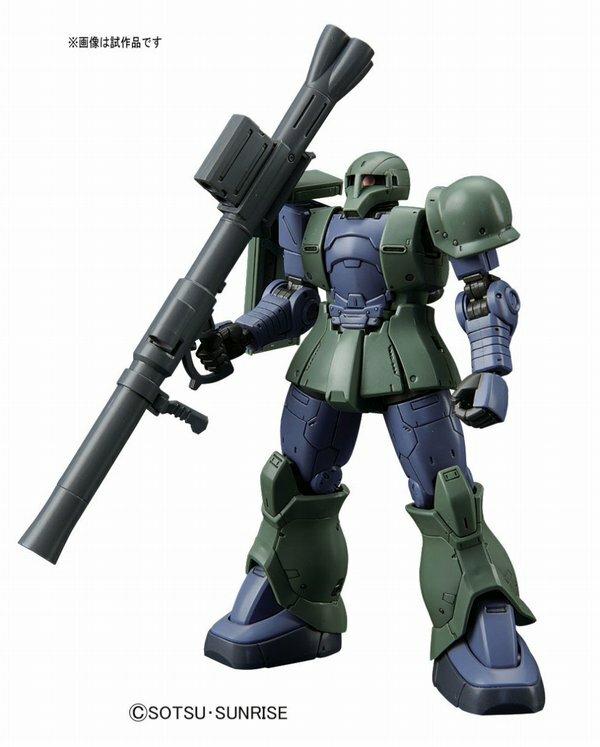 This is the Old Zaku as it appears in Gundam: The Origin. 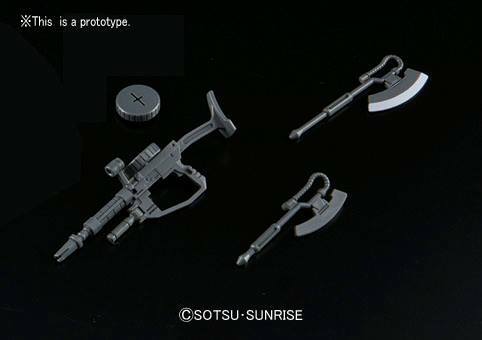 Zeon soldiers Slender and Denim are seen using the Mobile Suit's massive anti-ship rifle and classic bazooka. 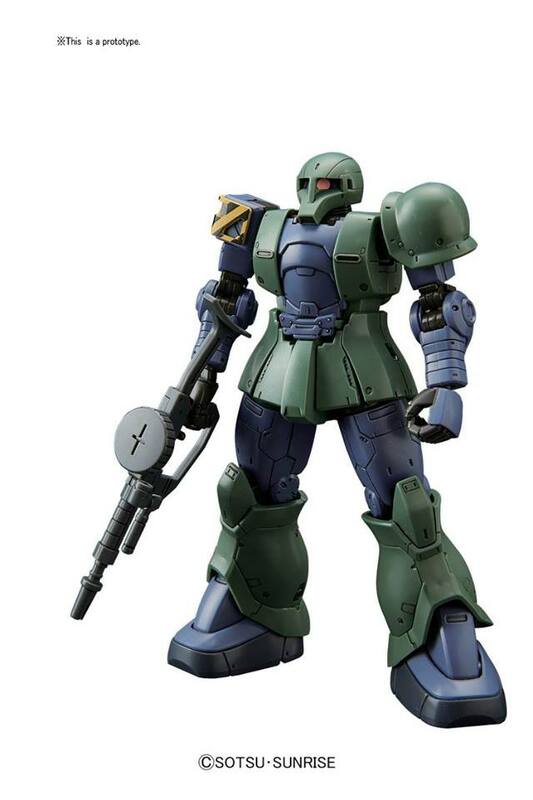 This kit is all new and features loads of surface detail as well as two different shoulder arrangements (construction use and a Zaku shield). It also comes with a machine gun and two types of Heat Hawk (lit and unlit). 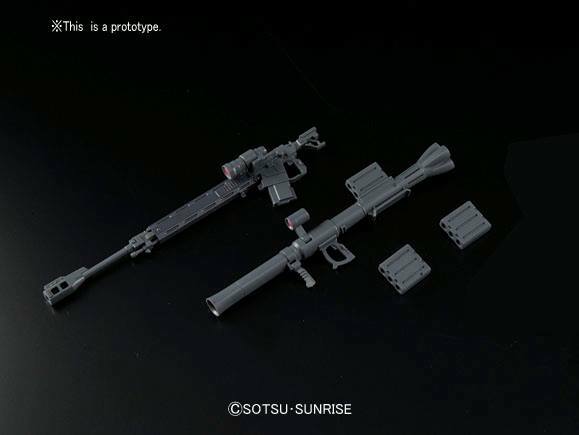 Scheduled for release in May 2016 for 1,700 yen.